For anyone who grew up in the 1980s, particularly in the coastal states where European cars are more popular, it’s hard to believe that the once-ubiquitous E28 BMW is slowly disappearing from our roads. The occasional beater 528e is still around, and if you’re lucky, you can spot the odd 535is that’s clearly owned by a devoted BMW nut, but finding a 533i or 524td is like finding a needle in a haystack. Futhermore, in a testament to these cars’ durability and lasting appeal, most have well over 200,000 miles on them. So finding one with low miles in decent driver condition is a pleasant surprise. 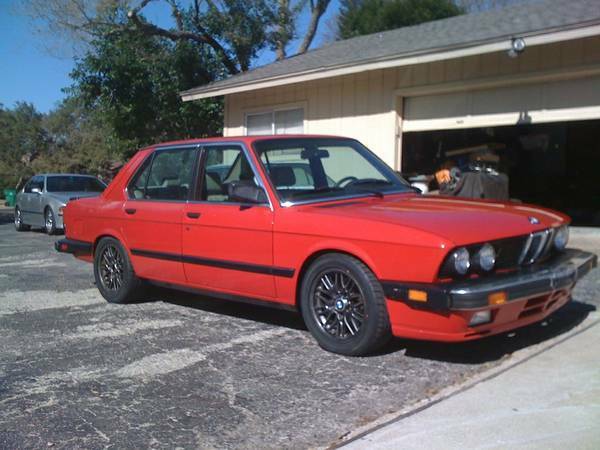 You can find this 1987 BMW 535is for sale for $4000 in Austin, TX. Shiny red paint, E39 M5 wheels in contrasting charcoal, air dam and spoiler – what’s not to like? Said to have many modifications, including upgraded brakes and suspension, ECU chip, and near new tires mean the car handles and stops well. Apparently, there are some clutch problems, but the owner has not been able to induce the slipping over the last few days. Unfortunately, the shiny red paint in front is misleading, as the rear has failing clear coat. 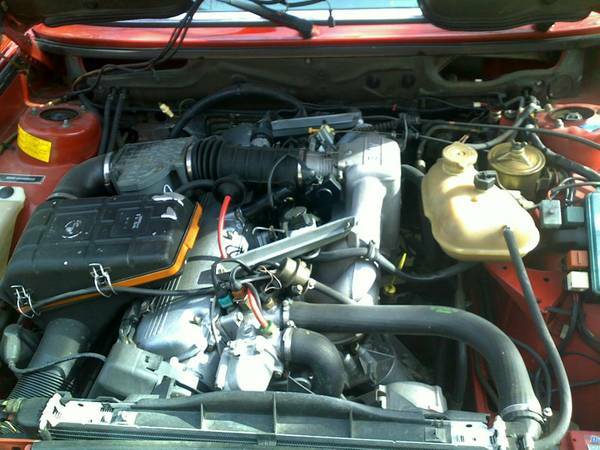 The engine looks pretty clean, and helps to the overall impression that this car has been looked after well. As with most older cars, there are many little issues, like a failed window switch/motor, trip computer light, air conditioning troubles, driver seat motor that won’t move, and a failing heater valve. However, the basic car looks very good, so it’s up to you what you’re willing to put up with and what you need to fix. Wow, an interior with tear and split-free seats! The dash even looks good, all of which will make this car more of a pleasure to drive. 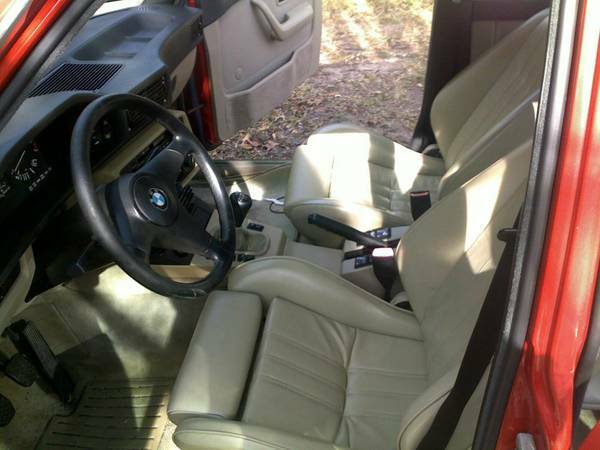 In the interior, there’s also an upgraded stereo system, which is offset by dead odometer, failing tach, and exhaust leak. Just niggling little things you can take care on the weekends. According to E28 lovers, this car is 90% of the M5 experience at half the cost – would you pick this one? This entry was posted on April 4, 2014 at 3:51 pm and is filed under Feature. You can follow any responses to this entry through the RSS 2.0 feed. You can leave a response, or trackback from your own site.